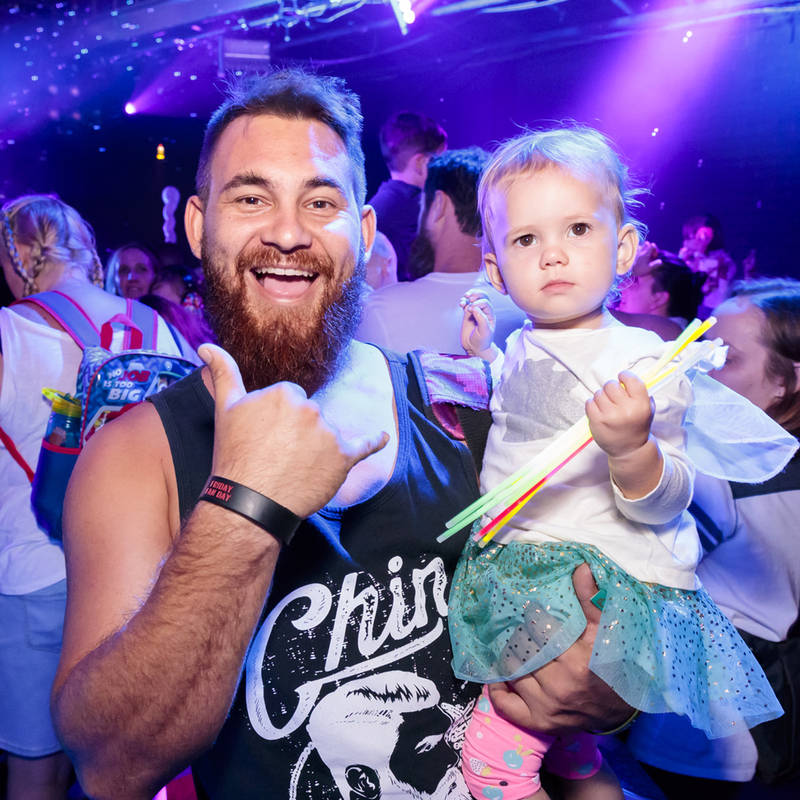 World famous and multi award-winning 'Big Fish Little Fish Family Raving' heads to Adelaide Fringe Festival, inspiring the next generation of ravers with the love of the music from the post gen ravers. With two shows featuring Binary Finary, MPK and Kid Kenobi, the true family rave experience, including multi sensory dancefloor and themed craft, touches down for a plethora of good vibes and many, many smiles. What can you expect? - Quality tunes: house/rave/electronica/trance/techno/classics. - Multi-sensory dancefloor, bubbles, balloons, giant balloons and parachute dance finale, performers and dancers. - Licensed bars, free glowsticks. - Kids craft pack on entry. - The delights of the Adelaide Fringe, with tables and eateries just outside the tent. - Baby change facilities on site. Please note: - for this event only a Child ticket includes children aged 2 to 16 years. - Children under 2 are free. - this event was previously listed under the Music category. Feb 23rd - Carnival Theme Binary Finary, Dj Brendon with Zebulon & Da Fish (B2B). March 16th - Animal Fantastic Theme Kid Kenobi, MPK, Patch and MC Pab. Please note latecomers will be admitted. Big Fish Little Fish are an independent, grassroots music and events crew that put on family raves with all the freedom and excitement of a mini-festival. There are BFLF crews running events all over Australia to big and little ravers alike. Originally conceived in London 2013, Big Fish Little Fish has won many awards within the UK and now active in Australia to thousands of ravers at events in Sydney, Melbourne, Brisbane, Gold Coast, Sunshine Coast, Perth and Adelaide. There are Big Fish Little Fish crews running these events and all have families. By Families, for Families. All are combined in the passion for outstanding music and an amazing spectacular environment. Volume will be set to Work Health Organisation levels for little ears. It will be constantly monitored throughout the event.